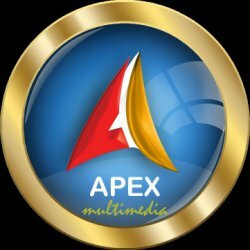 APEX MULTIMEDIA is the Top Animation Training Institute registered under Global Multimedia Association, NASSCOMM & Animation World Network. We provide World Class Training in 2D / 3D & VFX. Our 2D Training Covers Web & Graphic Designing softwares like Photoshop, Coreldraw, Illustrator, Indesign, Flash, Dreamweaver, HTML 5, PHP & CSS. In 3D Animation we train the students in Autodesk MAYA & 3D Studio Max. Our realtime VFX / Post Production covers Audio & video editing Software's Adobe After Effects, Combustion, Premiere Pro & Sound booth/forge. Apart from 2D/3D Animation we provide the industry based training in Android & Java. 100% Job assurance is provided for everyone who wants to achieve in Animation Industry.